High end Easter Gifts designed and handcrafted for babies and children. We use only the highest quality materials including,14K gold, Sterling silver, Swarovski crystal, and real AAA-grade round pearls, to make our jewelry classic and special. 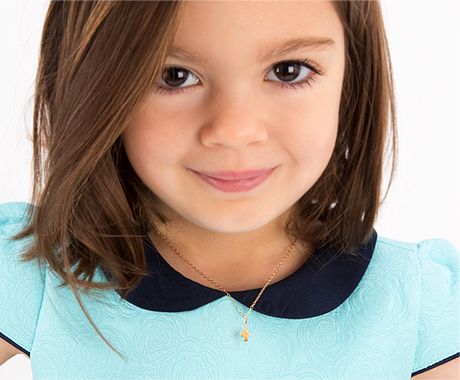 Fine Jewelry Gifts for her First Holy Communion, to make her big day even more special! Earrings, bracelets, and necklaces all meant for your little ones to add to any special event that comes. All of our products are made and designed with a kid in mind.